Hey admin, i found another bug. J-bot is "trying to use both mana and health potions". 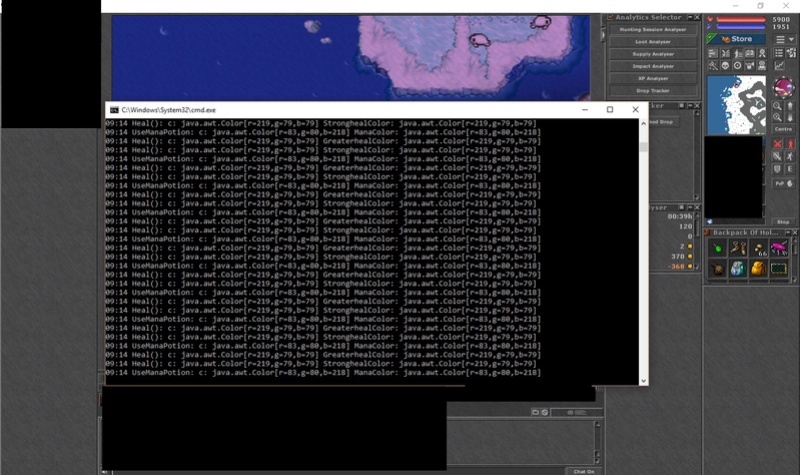 If im with Tibia client focused or using anything like a notepad or this cmd in front of Tibia client that does not cover the entire screen it will start to spam potions, the strange thing is, it does not heal unless necessary. 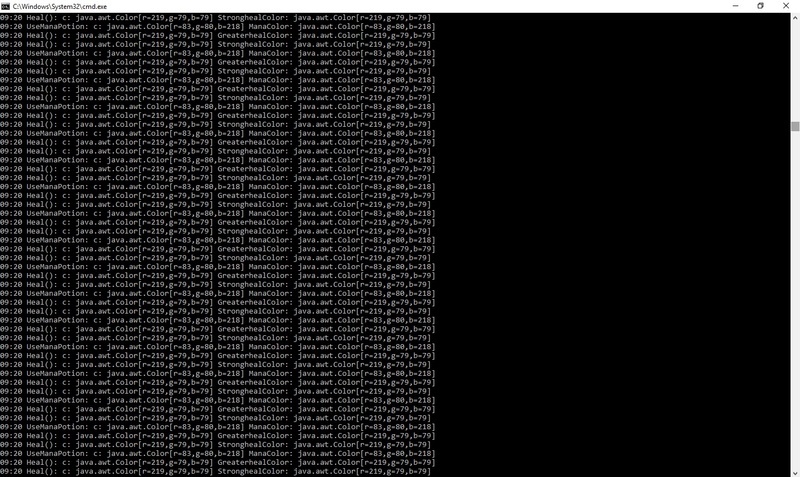 Diagnose's cmd is showing me j-bot is spamming it nonstop even if its not actually healing my char and healing works flawless. I've tested and when i needed a heal it healed normally. But again, its spamming those actions. On 09:20 (this second screenshot) i had Tibia focused and nothing in front of it. My mouse cursor is flashing while j-bot is doing this, if i stop j-bot my mouse stop flashing. You are using the debug part in diagnose.bat. That produces tons of messages for me to determine what the issue is. That also will create huge cpu spikes because of the print lines that are being created. Those messages are not exactly what you would think, its not so much healing it is the check for the heal. (Horrible logging I know but it is really only made for me to read lol!!). Try removing the debug at the end of diagnose.bat and see if you get the same screen flashing. Yes start.bat does not have the debug argument. Are you still having the blinking mouse when you run start.bat? Admin wrote: Yes start.bat does not have the debug argument. Are you still having the blinking mouse when you run start.bat?